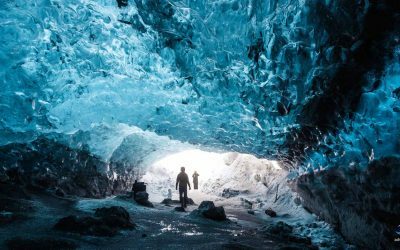 4 days of must do adventures in Iceland, from the famous Golden Circle to the Snæfellsjökull Peninsula. 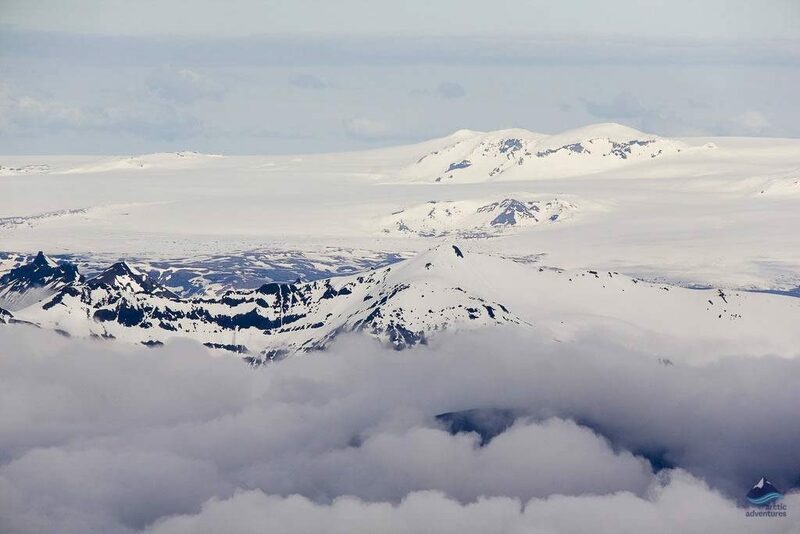 Treat yourself to a 4-day magical adventure around enchanting Iceland. With an overwhelming choice of picturesque landscapes to choose from, let us help you see them all! 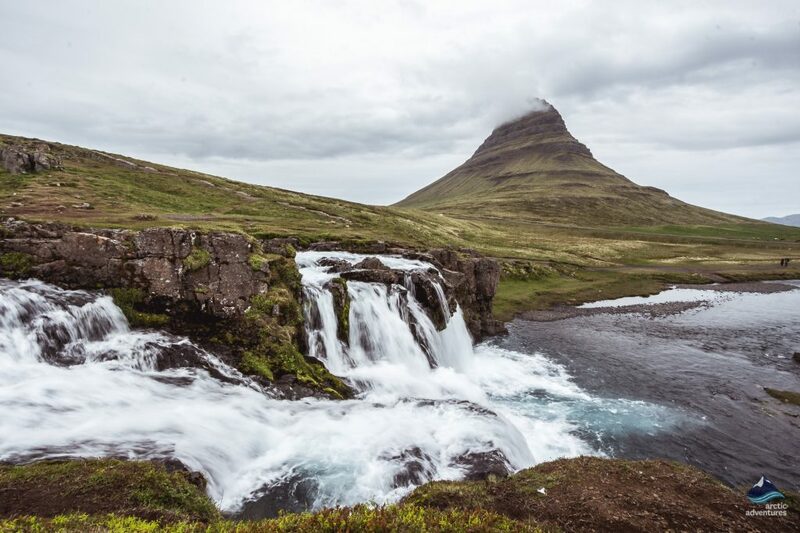 Gaze up at some of Iceland’s most spectacular waterfalls, take in the majestic Snæfellsjökull Peninsula, wait for the geysers to erupt and take that perfect photo, and let the Northern Lights captivate your mind! This once in a lifetime self-drive tour is created with those who do not want to worry about bookings and doing research, in mind. 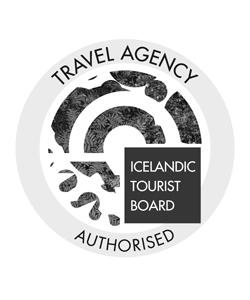 Leave the planning and the details to the experts while you enjoy a relaxing vacation in Iceland! Take in the best of the West and explore waterfalls, lighthouses and hotsprings. Snæfellsnes Peninsula with its volcanoes, beaches and villages.The Golden Circle has three outstanding natural attractions: Geyser, home to Strokkur, the most active hot spring, Þingvellir National Park, where the North American and Eurasian tectonic plates have been moving apart. Finally, Gullfoss waterfall, see the golden-hued spray as the roaring water crashes through the rugged canyon, dropping 32 m in two stages. Entrance fee to the baths (Secret Lagoon, Karuma, Fontana or Blue Lagoon) is not included. This itinerary is best suited for morning arrivals. That way upon arrival you can pick up your rental car at the airport and start your road trip right away. If your arrival is in the afternoon,we recommend staying overnight in the capital region then picking up your car in Reykjavík the morning, before following the regular itinerary. Perhaps not the likeliest of first pit stops in Iceland, but Akranesviti Lighthouse is located in the picturesque fjord of the the beautiful Borgarfjörður region, with public access and a spectacular view from the top! If conditions are fair, you can see across the bay at into Reykjavik! Don’t head straight to the peninsula, take a detour to visit Borgarfjörður, a stunning fjord and coastal land that is especially popular with locals – so you know it’s good! A popular stop in the region is Lava Falls, or the very unique Hraunfossar, one of the most special natural wonders in Iceland. Which a sense of mystery, its creeks and cascades mystically appear out of the ground, directly from the lava field. Quite the natural phenomenon. Water streams from the ground and cascades into a blue river at a distance of about 3000 feet. This extraordinary sight makes it one of the most beloved waterfalls for those who visit it! If you follow the path along the river you will come across a bridge that leads to another unbelievably blue waterfall, called Barnafossar, which translates as the Children’s Waterfall. It was named after a terrible accident in which a mother’s two children tragically lost their lives in the fall. At only a 20-minute drive from the waterfalls, you will find Deildartunguhver, better summarized as Europe’s most powerful hot spring. 50 gallons of water are produced per second, at a scolding 200°F! This water is put to good use resourcefully, heating the houses of the nearby communities within a 60-70 kilometer radius. Not too far away is a newly built and much cooler geothermal bath, Krauma. It is known for its great architecture and restaurant. It is well worth coming to chill out for an hour or so! Pre-booking is not required. FInally, it’s time to head over to Snæfellsnes and visit the seal colony at Ytri Tunga, a golden sand beach on the southern shore of the peninsula. Your chances of spotting the seals from the colony are quite high, as they usually rest on the rocks. They are surprisingly friendly and curious creatures. 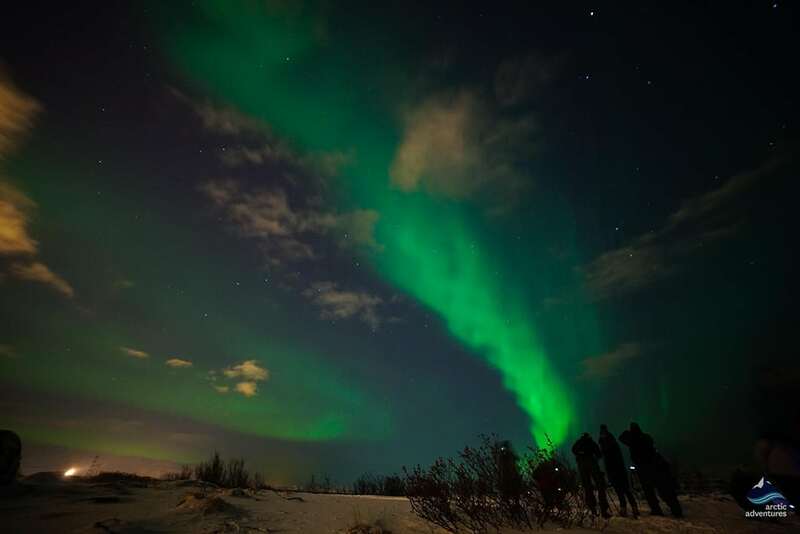 When the night falls, keep your eyes on the sky because you are at the perfect location to catch the Northern Lights, should the conditions allow for it. You will spend the night in a country hotel on the peninsula where there is no light pollution at all. Do not forget to bring a headlamp with you, though. Then just walk a few minutes away from the hotel building and wait for the show! 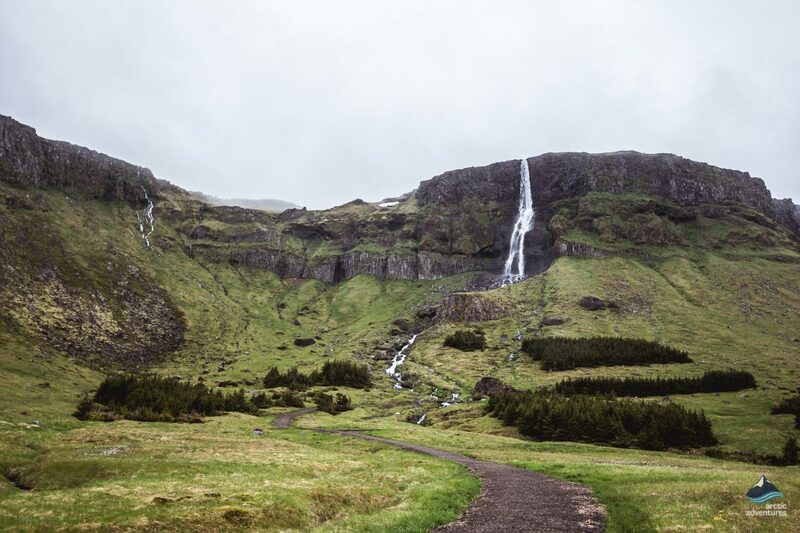 After enjoying a complimentary breakfast, you will head out to explore The Snæfellsnes Peninsula. 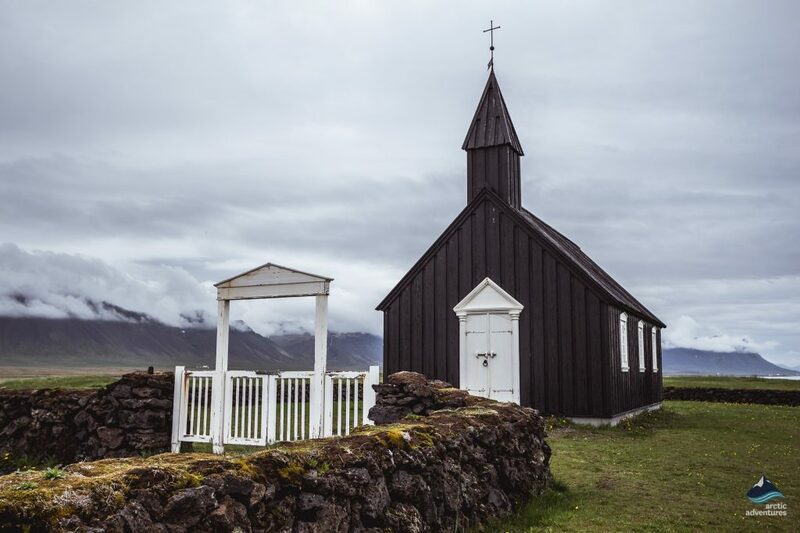 Near to the coast you will come across an isolated, black wooden church with a small hotel next to it. 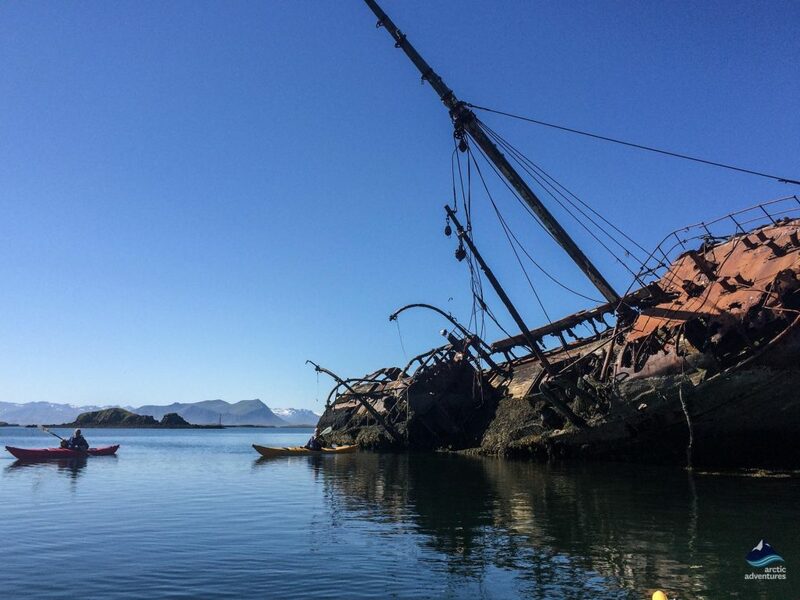 Previously, this site served as a landing place for merchant ships. 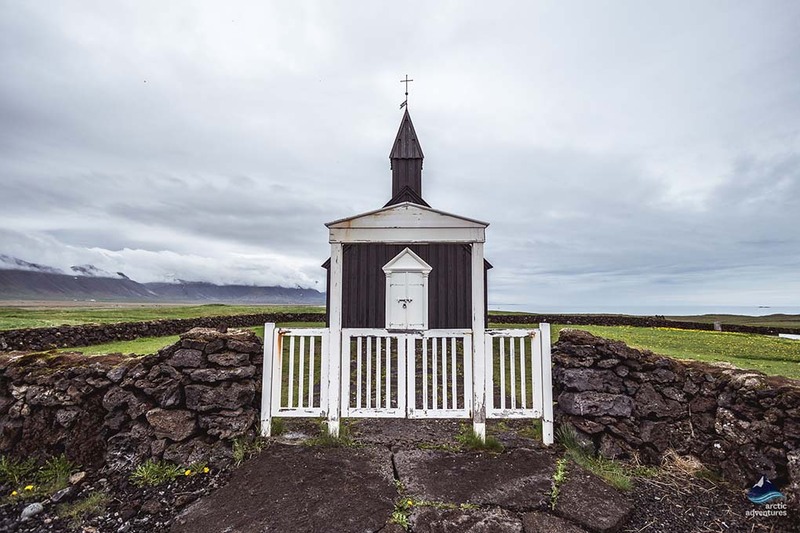 The first church at Búðir was built in 1703 but was later pulled down and the replaced as in 1816, the church was desecrated by royal order. The church is incredibly photogenic and couples come from all over the world to get married here. Onward through the peaceful countryside, you are encouraged to enjoy the views of the spectacular mountains and the aquamarine shades of the ocean. After a few miles, you should stop once more at two fishing villages that are located only a few kilometers apart: Arnarstapi and Hellnar. These lovely sites feature a beautiful natural harbor and some truly impressive rock formations, including arch rocks and basalt caves. A cozy café with an amazing view awaits you here! After another few minutes’ drive, you will begin to see an odd rock formation off in front of you. The peculiar Lódrangar Sea Stacks dominate the landscape even from a distance. The stacks are 246 and 200 feet tall and together look like a cursed castle from a dark fairy tale. Legend tells of the castle belonging to the elves living in the area, so no one dares disturb them. There is a perfect viewpoint that can be found within a few minutes’ walk of the parking lot. From here you will be able to take the perfect picture of the impressive cliffs. The next stop on the itinerary is the dramatic coast of Djúpalónssandur Beach. Between sharp cliffs and formations of lava, this black sand beach plays home to the famous lifting stones that were used by fishermen to test their strength. 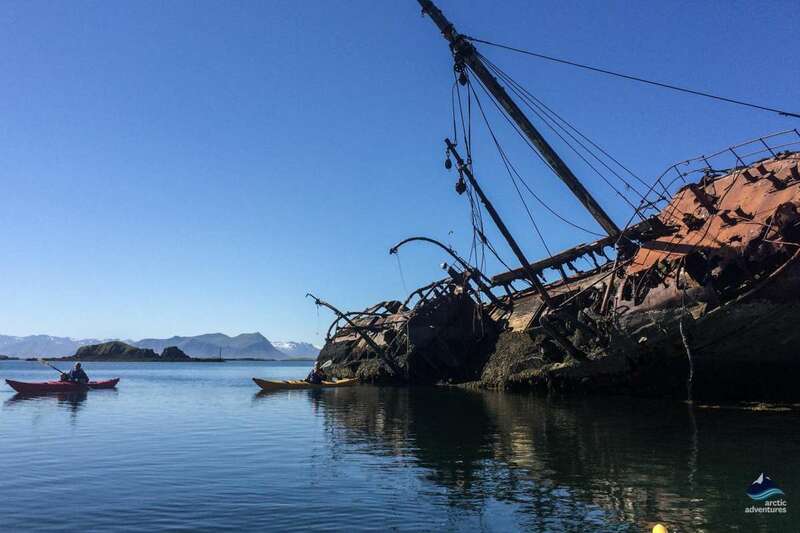 The picturesque British Trawler shipwreck is another landmark of this beach which helps live up to its expectation of one of the top three most remarkable beaches in Iceland. 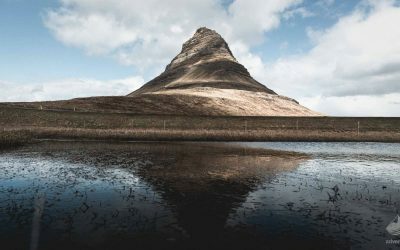 “Arrowhead mountain” from Game of Thrones, Kirkjufell, the Church Mountain is definitely the most photographed mountain in Iceland and also your next destination. This distinct, freestanding, fairytale-looking mountain, makes up one of Iceland’s most iconic landmarks. In a stunning landscape just jetting out to sea. Stykkishólmur is the largest town on the Snæfellsnes Peninsula, referred to as the capital of the area. The is also the gateway to the Westfjords as the ferry departs from here. One of the defining landmarks in Stykkishólmur are the old houses which reside in the old city center and this is reflected in the atmosphere – it sometimes feels like a stepping into an old movie. This fishing village is the perfect place to stop for a late lunch and taste some local specialties in one of the many excellent local restaurants. On your way back from the peninsula you have the opportunity to stop at the stunning Gerduberg Cliffs, a natural heritage site home to some unique shaped rock formations. 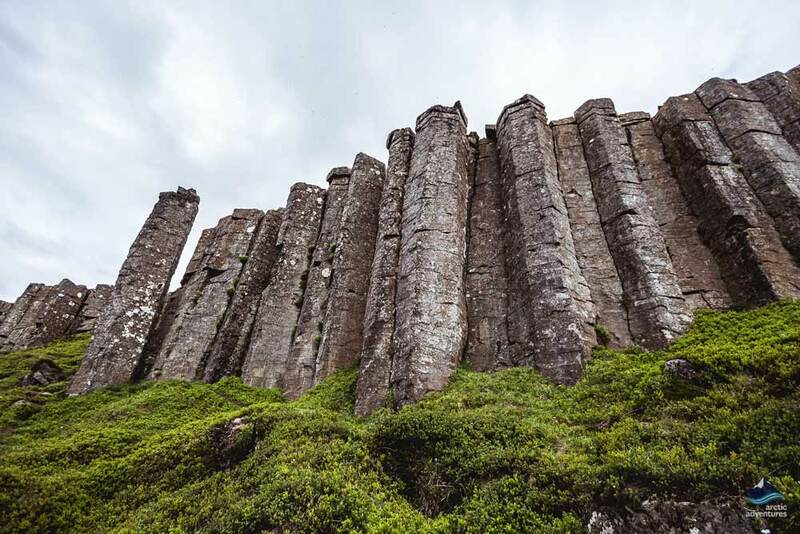 Gerðuberg is a wall of amazingly geometric basalt columns, some of them reaching 46 feet in height and 5 feet in width. After a long day of sightseeing, you will spend the night in the Snæfellsnes area at a place that is, again, the perfect location for chasing the Northern Lights. 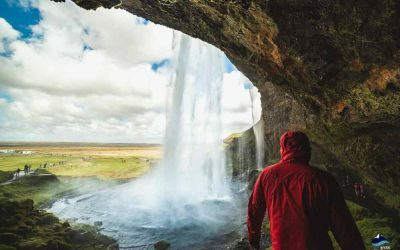 After breakfast on your third day, you will hit the road once again to tour Iceland’s most iconic natural attractions. You have an exciting day ahead of you full of ravishing waterfalls, epic historical sights, and extraordinary geological wonders. 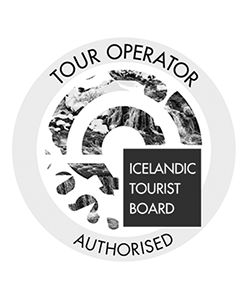 You will be completing Iceland’s famous Golden Circle. 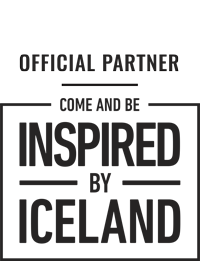 Your first stop will be Þingvellir National Park. It is a UNESCO Heritage Site well known for its heritage as the home of the world’s first parliament, Althing. The park is also famous for being the location of a rift between the tectonic plates. Here the North American and Eurasian continental plates drift apart at a rate of 2cm a year and you can actually walk or snorkel in between them! Thingvellir also hosts a beautiful waterfall, Öxarárfoss, that can freeze completely during the winter, making it even more stunning! The Geysir Hot Spring area is located in a geothermal zone. While the Great Geysir is no longer active, it’s much more lively neighbour Strokkur entertains crowds by erupting every 5-10 minutes. Spouting water up into the sky upto 30 metres, it is something you have to witness in person! The Geysir Geothermal Area has plenty of bubbling hot springs and steaming puddles on display. There is a large service center next door where you can purchase warm meals and get some souvenirs. 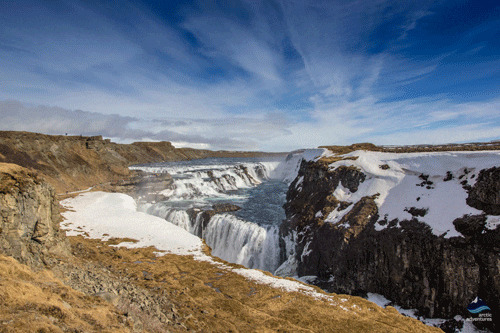 The next stop on the circle is Gullfoss Waterfall, the Golden Fall. The river flows from the nearby second-largest glacier in Iceland and falls into a majestic canyon, creating a truly unforgettable sight. Water drops from a height of 98 feet over several steps and is even curved. On a sunny day, rainbows can be seen sprouting out of the fall! 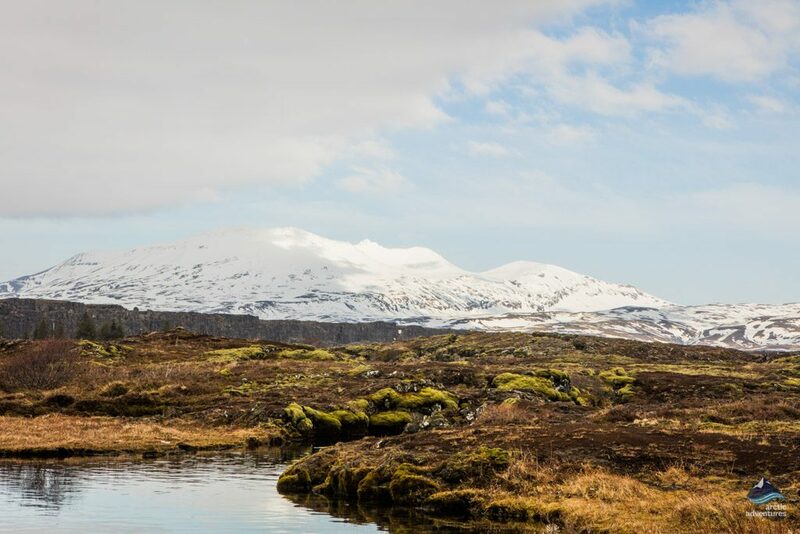 Depending on time and daylight, the Golden Circle route has more than just these 3 phenomenons! There are some additional extra stops you can choose after finishing the Golden Circle Route. The most popular detour is Kerið volcanic crater lake, which is filled with vibrant water,in shades of blue and green. Take a trip to the historic town of Reykholt and Flúðir Geothermal Village, you will find Iceland’s oldest swimming pool: the Secret Lagoon. Faxi waterfall is a real hidden gem with a truly idyllic look. Any of these locations are perfect for a lunch stop. 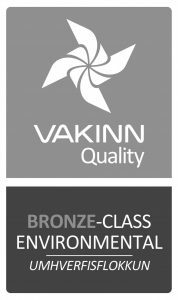 We highly recommended you fit them into your visit! The fourth day is the day of departure, so your itinerary is up to you but will depend on your outbound flight. 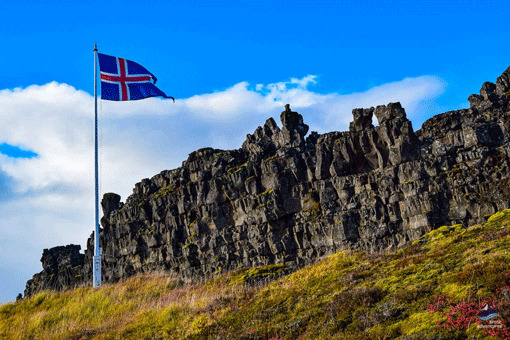 You can find Keflavik International Airport located on the Reykjanes Peninsula, about 1 hour away from Reykjavik. 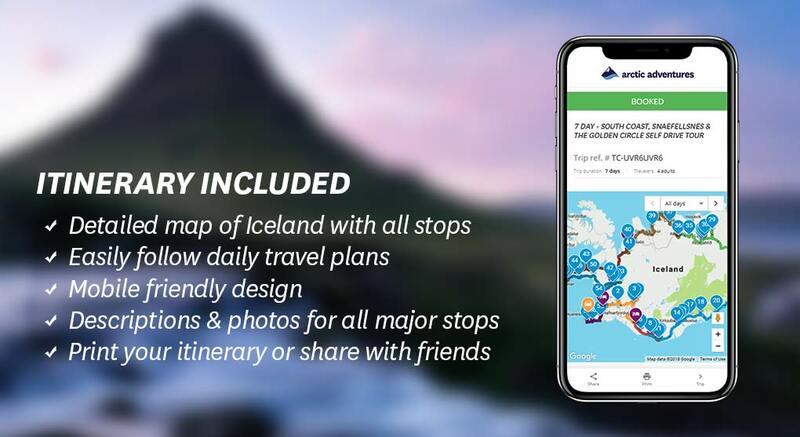 Hopefully, keeping on your flight schedule, will also allow you to spend some time at Iceland’s most famous man-made attraction – the Blue Lagoon. Located only fifteen minutes by car from the airport, you can’t come to Iceland and not go here! Its warm water is rich in silica, algae and other beneficial minerals that have an amazing healing effect on your skin. It is important to remember to pre-book your ticket in advance as the lagoon can be extremely popular. If you are lucky enough to have a whole day to spend on the peninsula, you should take this opportunity to drive around and explore the matchless landscapes of the splendid Reykjanes UNESCO Geopark. 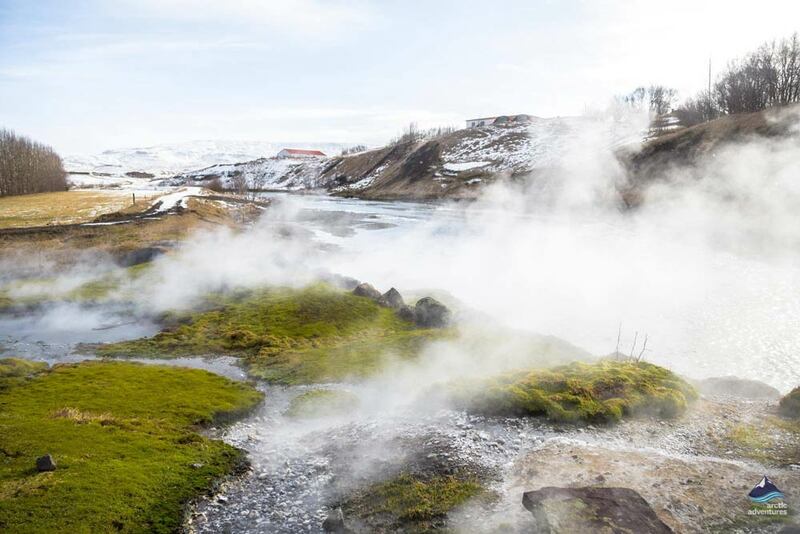 Hot springs, geothermal sites, dramatic coasts, gloomy lava fields, Martian landscapes, the Reykjanes Peninsula has it all! When you arrive at the airport, you can quickly drop off your rental car and head to your check-in gate. We hope you had a great break with us and have a safe trip home!